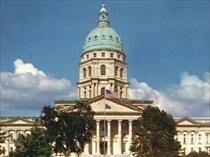 A new report says Kansas collected $22 million less in taxes than expected in December. The shortfall is likely to complicate efforts by Gov.-elect Sam Brownback and the Legislature to keep the state’s budget in balance. Thursday’s report from the Department of Revenue says December revenues totaled $489 million, about 4 percent lower than the $511 million predicted earlier.